I love fusions! 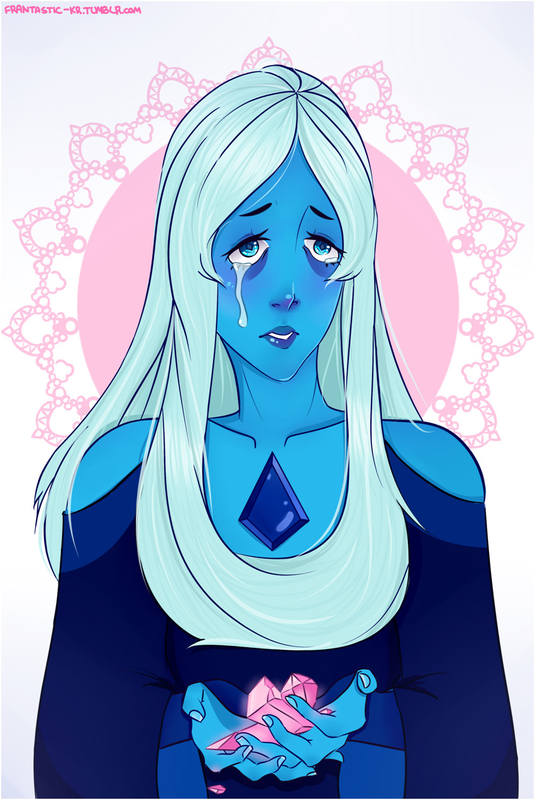 I wonder when we're going to see another one (I mean, besides Garnet). I wonder if we'll get a new fusion before the end of the season. What do you think? Slide into some meep morps! I always find the dubs so fun to watch! It's interesting to see what kind of voice has been picked! HELLO FROM THE OTHER SIDE! Did you catch the Michaela's video yesterday? Here's the full make-up challenge. How well do you think they pulled it off? 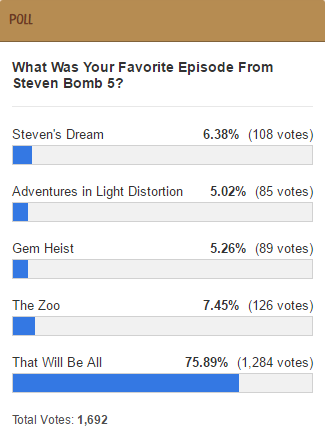 Poll Results: What Was Your Favorite Episode From Steven Bomb 5? The last Steven Bomb was fantastic! So what did everyone think was the best episode? Well, that was a landslide. Check out the latest poll on the side bar! It's time for some gems to get what they deserve! It's always so awesome to see the SU community come together for fan projects! So please enjoy this multi editor masterpiece! Fan Theory: Steven's Destiny REVEALED in Lion 4: Alternate Ending? A magical half-alien boy that's the first of his kind! A mother with secrets! A supportive father! Three alien moms! So how does it all come together? Why AreThe Steven Universe Season Four Ending Themes So Strange? So, Love Like You was finally fully revealed! So what the heckie is up with the theme that replaced it?! SU is going to be sticking around for awhile! Not only that, but CN has announced a bunch of new shows, some of which were created by the Crewniverse!